A model for a contemporary police state. Urban grid system is nothing new. In ancient Rome, the grid was the standard layout of military camps. Urban grid planning, from the very beginning, bore the marks of militarized management. In Beijing, the grid-like streets and alleys (hutongs) have a lot of to do with the layout of military installations in imperial China. To a great extent, today’s urban neighborhoods of Beijing have geographically inherited this traditional grid layout, although structurally the grid has been based on a social system of “work units” that was formed in the 1960s and 1970s and have served the purpose of social control as part of the country’s social system. In brief, this is the background for understanding how and why China has been implementing grid management for, among other things, social control. As GIS (Geographic Information Systems) and data grid technology have made big strides, the US government began to invest in grid technology research in the 1990s, established lab models and projects such as Globus, Globe, NetSolve, and Javalin, and planned to build the Global Information Grid, led by the Department of Defense, by 2020. China launched its gird plan somewhat in October, 2002 under the “863 Program,” or the National High-Technology Research and Development Program. In December, 2005, China Grid Computing Center was officially formed to lead the China National Grid project (CNGrid) and conduct grid research. China carried out its first urban grid management experiment in Dongcheng District, Beijing (北京市东城区) in October 2004. It took a page from the grid management of Westminster, London, and can be regarded as a tentative application of the aforementioned large grid research project. Based on the municipal government‘s digital administration network and the city’s basic geographic information system, the model uses 3S technology (RS, GIS, GPS), geographic coding technology and mobile information technology to divide 25.38 square kilometers into 1,652 geographic grid cells, with each cell 100 by 100 meters (lawns and vacant lots larger than 10,000 square meters were marked as a single cell). Combined with the geographic information system, each cell was given a unique 14-digit code, and public properties within the cell, such as buildings, lampposts, sewage covers, benches, and etc., were catalogued, coded, located and saved in databases. Equip urban management enforcers (Chengguan, 城管) with multi-purpose “Chengguan Tong” (城管通), a device for both information collection and mobile communication. It can make phone calls, send group text messages, take photos, fill out forms, position, record audio and video, and browse map and data, making each Chengguan an on-site end collector of information. Create more layers, as well as the overlapping of layers, in urban management, and implement more refined management according to the grid. On the one hand, the original three-tier responsibility system was increased to a four-tier responsibility system, that is, the district government, 10 neighborhood offices, 137 community committees, and each organization’s “three-responsibility” (门前三包) person in charge. As a result, a total of 589 social management grid cells were created. Each community consisted of an average of 2-5 grid cells. On the other hand, each grid cell is equipped with “seven forces.” They were: grid cell managers, grid cell assistants, grid cell police officers, grid cell supervisors, grid cell communist party secretary, grid cell legal judiciary workers, and grid cell firefighters. Each social management grid cell was equipped with at least one full-time assistant, and police officers were assigned to take charge of areas based on grid cells. In a small number of communities, each grid cell was assigned a police officer, and each Chengguan was responsible for patrolling averagely 12 grid cells. The social management was indeed improved. Government functions at top levels could receive precise information about a specific location in real time through the grid information system, and they could monitor lower functions’ handling of matters. This concluded the so-called “circuit” of information and implementation involving what’s believed to be 27 government functions and the aforementioned 4-tier responsibility system. This grid management system, once in operation, was highly praised by Jia Qinglin (贾庆林), Wang Qishan (王岐山) and other top Chinese leaders. Integrating high-speed internet, high-capacity computers, large databases, sensors and remote equipment, the grid improved the performance of public governance and expedited electronic administration. But more important was its improvement of government’s response to contingencies, a capacity most valued by the Chinese authorities. In any given grid cell, not only were all fixed objects coded and positioned, but much more than that, any activities or contingencies, including cultural activities, public safety, criminal cases, mass protests, sensitive figures in terms of “stability maintenance” and their activities were all sorted and coded, with information about them being collected and reported all the time. Based on these data, sensors and wireless equipment such as surveillance cameras and wireless routers were deployed. Following the example of Dongcheng District, Beijing, from 2004 to April 2007, China carried out trials of the urban grid management project in 51 areas in three batches. Among the first batch of cities and districts participating in the Ministry of Housing and Urban-Rural Development’s digital urban management trials were Shenzhen, Chengdu, Hangzhou, Wuhan, Yangzhou, Yantai, Beijing Chaoyang District, Shanghai Changning District and Luwan District, and Nanjing Gulou District. Urumqi in Xinjiang became a trial city in the third batch in April 2007, but before it was completed, large-scale ethnic violence broke out in 2008. By July 2010, 40,000 surveillance cameras had been installed in Urumqi, covering 3,400 buses, 200 key public transportation stops, 4,400 streets and alleyways, 270 schools and preschools, and 100 large shopping centers and supermarkets. During the same period, a staggering 200,000 surveillance cameras had been installed in Bo Xilai’s Chongqing, one indication of the nature of the “crackdown on black” campaign led by its former police chief Wang Lijun. A grid management training session in Xinzheng municipality, Henan province. While in urban China grid management depends more on technology, equipment, Chengguan and the police force, the development of grid management in rural China is different and worth our thoughts. In the trial run in Xintai county, Shandong province (山东新泰), apart from surveillance cameras, landline telephones and roadside lamps were installed, and all of the cab drivers and sanitation workers in the county seat were “hired” as grid management “information reporters.” In Wuxi, Chongqing (重庆巫溪), the supplementation of human resources took another form: upon dividing the county into 117 grid cells, each cell was paired with a government unit with the latter providing one-to-one support for the cell. These units would also provide funding to help the grid cell community, or village, improve public management with an emphasis on solving the petitioning issues. In some cases, some long-time petitioners themselves were hired as grid cell social workers. From the limited cases discussed here, we conclude that, as China implements grid management for social management with the aid of the latest technology, geographic information systems and super computers, it has most likely tightened social control over the last ten years or so in the name of “stability maintenance.” In particular, following the breakout of the Jasmine Revolution in North Africa in 2011, the Chinese government responded with the so-called “innovative social management,” multiplying the grid management trial in Dongcheng District, Beijing, across the entire country as the core of this “innovation in social management.” The Party-state’s authoritarian control over cities and the society as a whole has thus been made more refined, more precise, more high-tech, and more systematic. 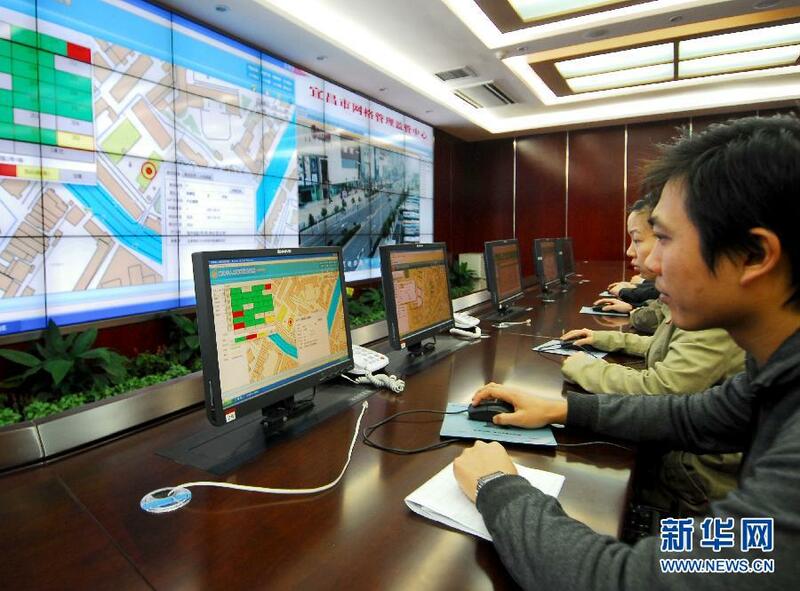 Moreover, after comparing the cost and quality of grid management between cities and rural areas, the Chinese government has recognized the high efficiency of using urban grid management for social control. This in part lends confidence to Xi Jinping and Li Keqiang’s plan of urbanization. Down the road, if China remains devoid of real democratic checks and balances, there is little doubt that the continued development of grid management will only lead to a model of a contemporary police state. Dr. Wu Qiang (吴强) is a political science professor at Tsinghua University. The article is written specifically for ChinaChange.org. Chinese original, translated by China Change. 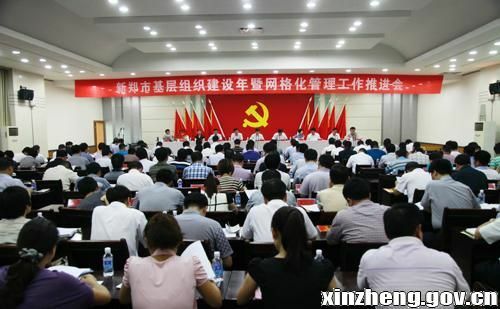 By China Change in Analyses and Opinions, Human Rights & Civil Rights, Political Transition on August 8, 2013 . Grid management is as old as China. It’s cheap and effective. Technology is enhancing its effectiveness just as technology enhances the effectiveness of criminals. The worst police states existed without much technological assistance and China’s much further from being a police state than the USA, which shoots thousands of its people in the streets, imprisons millions and spies on the rest.